Right before the flooding here in Colorado my wife discovered our master bath shower was leaking. She started with a simple tear down to isolate the leak only to find that one of the walls was starting to rot away. As we dug into more and more layers we also found mold growing in the walls and under the shower basin. Needless to say, we are now remodeling our bathroom! I am trying to find the "before" pictures for the full effect. 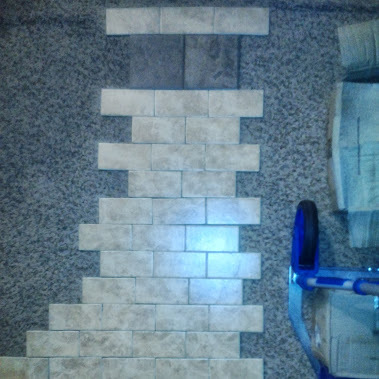 Over the last 2 weeks we have bought most, maybe all, of the tile (Habitat for Humanity's ReStore Rocks!) we need to finish the interior of the shower, have bought 2 rain heads, new plumbing and all the lumber to build the enclosure as well as the new "tunnel" to the closet. We still have to buy the Schluter drain and Schluter Kerdi membrane as well as the wallboard. A lot of work still to do but we are getting really excited about how it is turning out now. And we get a shower twice the size of the original!